This and 4 other objects are a part of a set whose first object is 1017 Coffee/tea Service, 1952. This is a Tray. 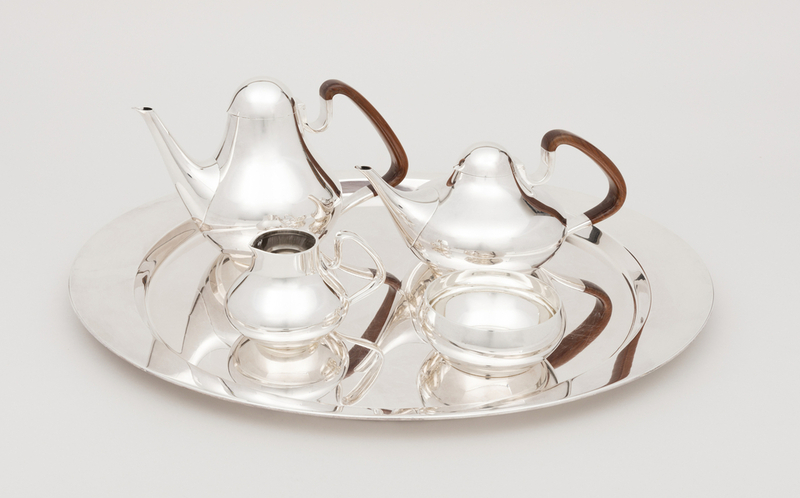 It was made by Georg Jensen Sølvsmedie. It is dated 1952. Its medium is silver. It is a part of the Product Design and Decorative Arts department.